Someone actually released an egg picture in a bid to make it the most liked photo on Instagram (it surpassed Kylie Jenner's photo with her daughter Stormi by a long margin). 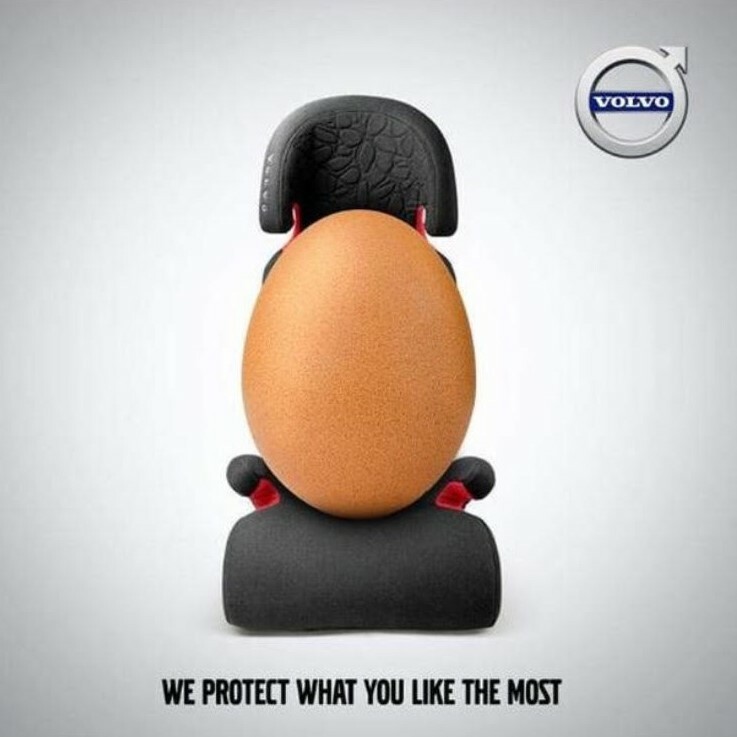 Volvo cars Lebanon (I was unable to see this on any other account related to the brand internationally!) just capitalized on this with that oh-so-cute line "we protect what you like the most" ("like" - get it?). A small gem there ladies and gentlemen!